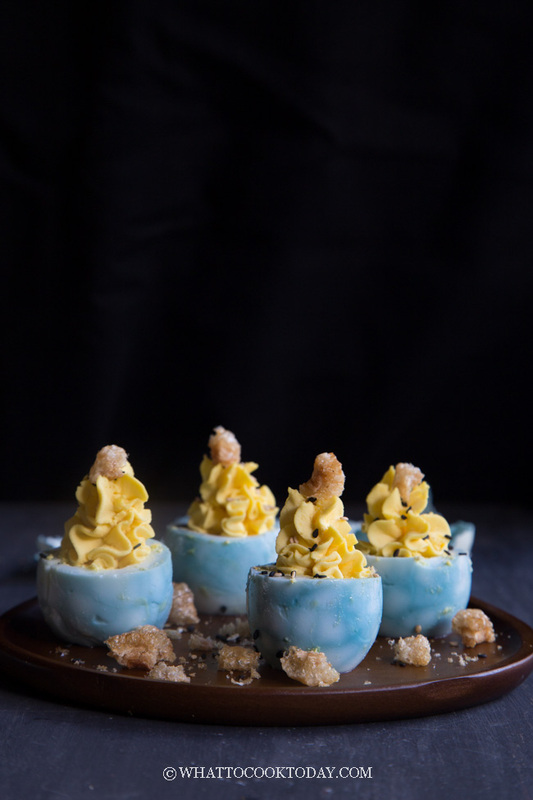 Learn how to make marbled tea eggs with delicious creamy Asian-inspired yolk toppings in 5 simple steps. Perfect for Halloween or any occasion. I’m getting a bit tired of all the sweets and candies that we see everywhere we go during this time of the year. I want to celebrate Halloween with the kids but I don’t want them to keep thinking that Halloween is all about candy! 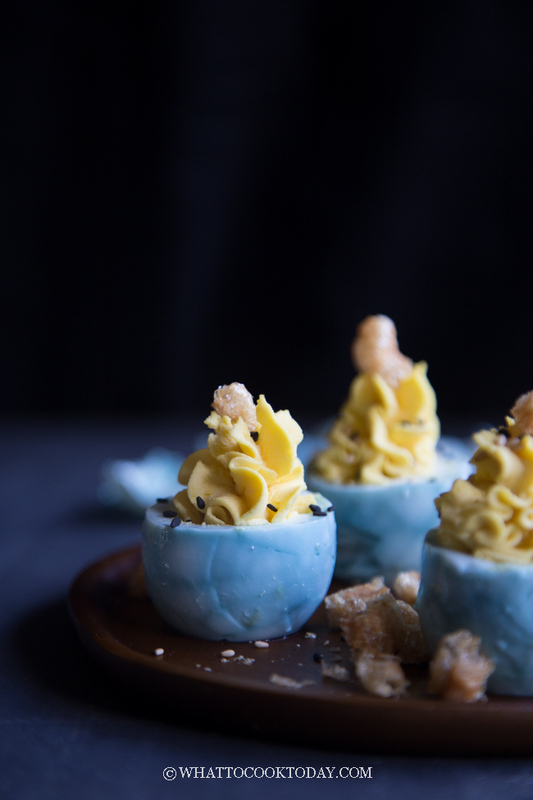 This marbled deviled tea eggs recipe is actually not only for Halloween. You can use it for any occasion. 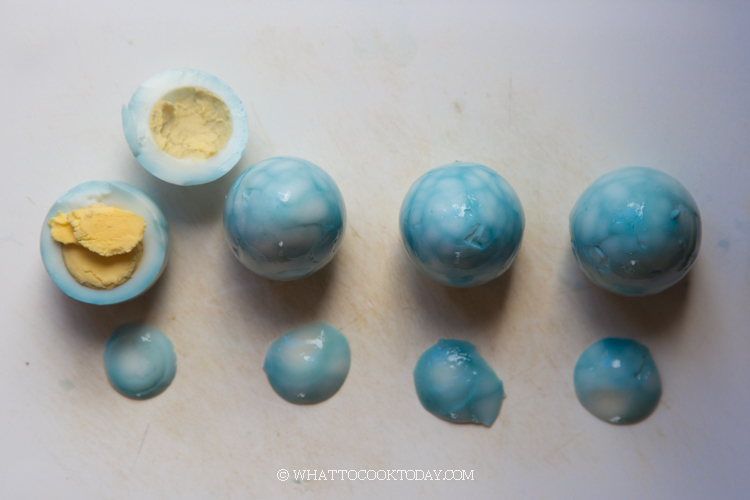 Marbled tea eggs are popular snacks in Asia. 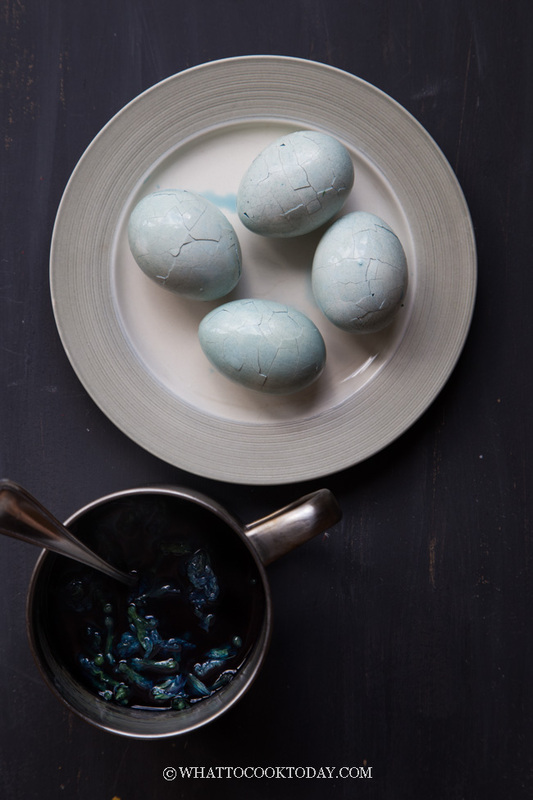 Hard-boiled eggs with cracked shells and boiled again in herbs, seasonings, and tea leaves to create that beautiful marbles on the eggs. 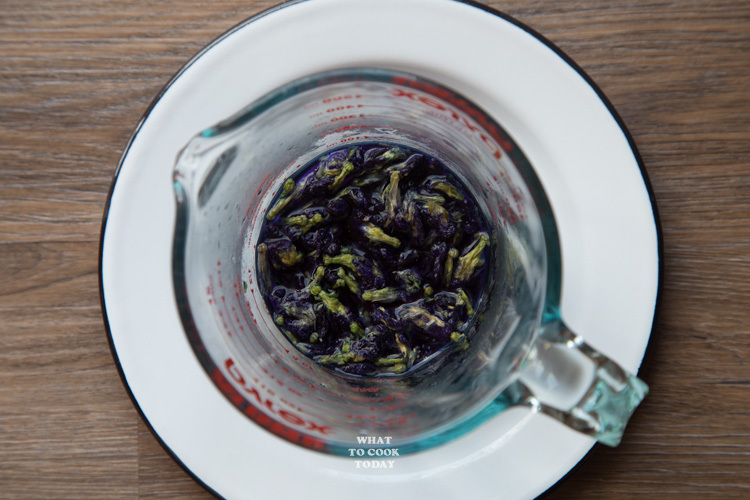 The eggs are also lightly infused with the aroma from the herbs, seasonings, and tea leaves. 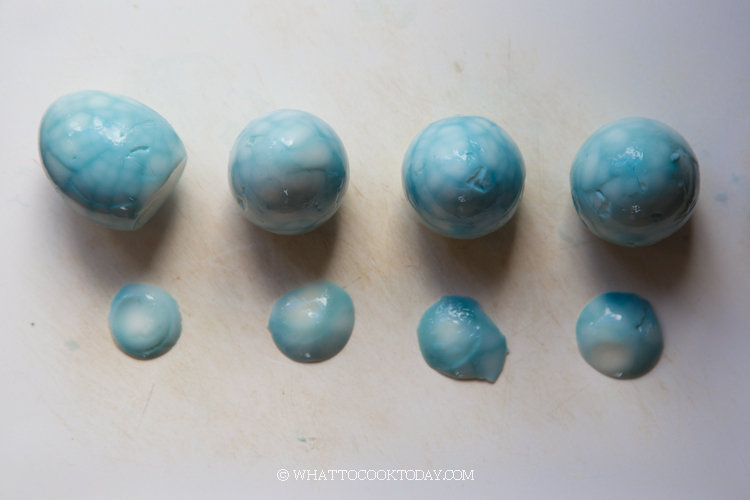 Because I was having Halloween in mind and I have dried blue pea flowers on hand, I decided to create blue veins for the deviled tea eggs. 3. 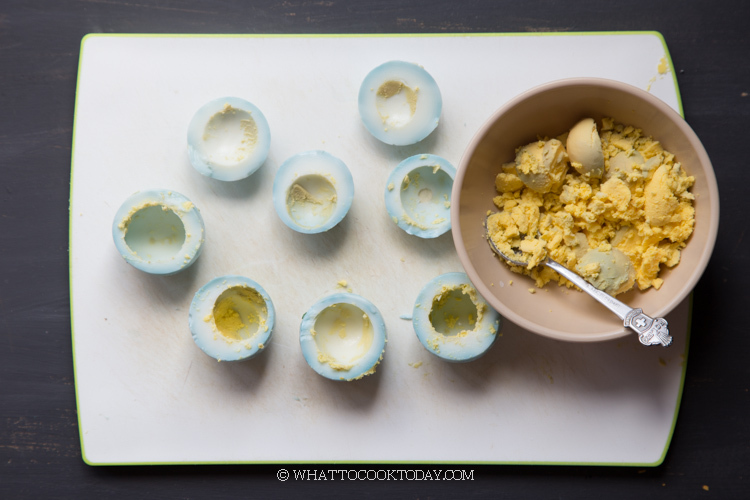 Pipe the filling into the hollow of the eggs. Sprinkle with sesame seeds. 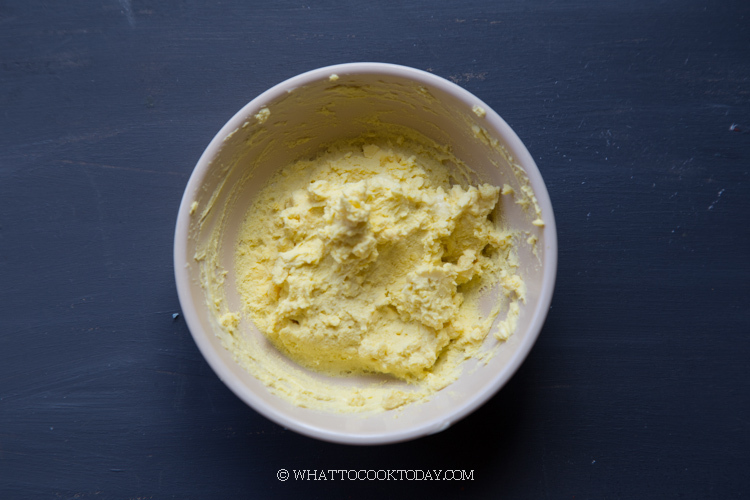 Keep in the refrigerator until ready to serve. Just before serving, top with a piece of chicaroons on top for that amazing contrast of texture and taste! 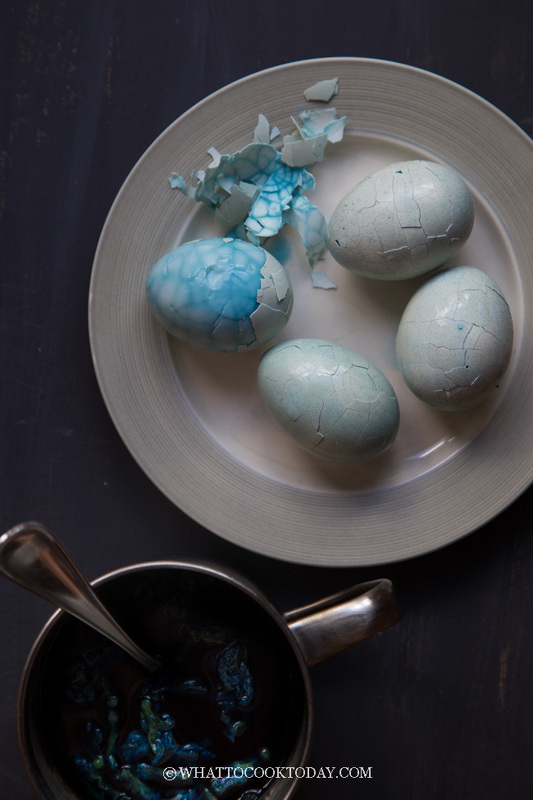 The kids thought these were fun looking eggs. They are not super scary, but a bit “eerie” they said. 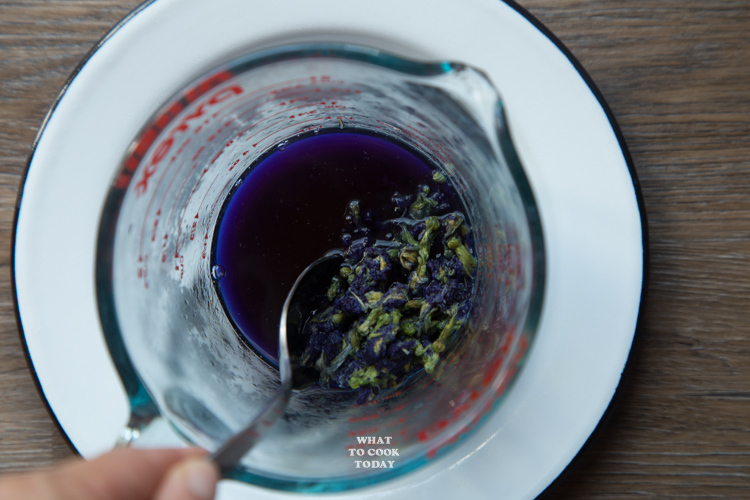 The taste though, is anything but scary! 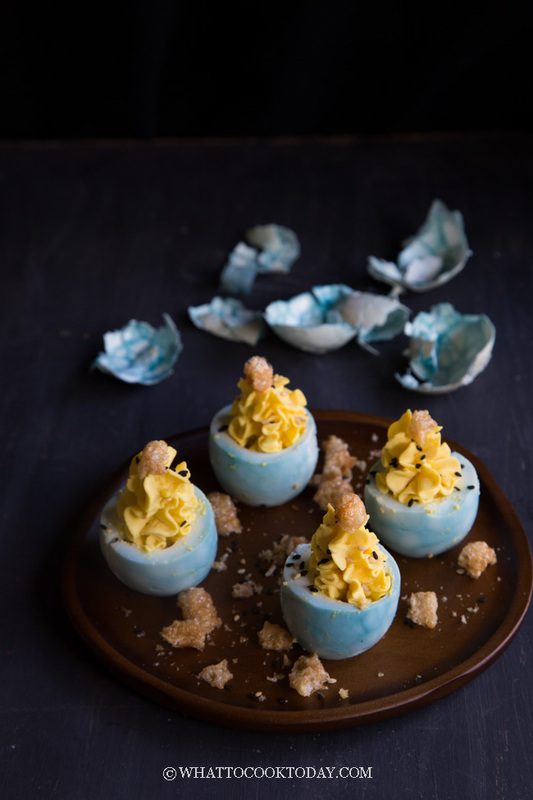 The blue parts of the eggs are lightly infused with the aroma of blue pea flower extract and five-spice powder. 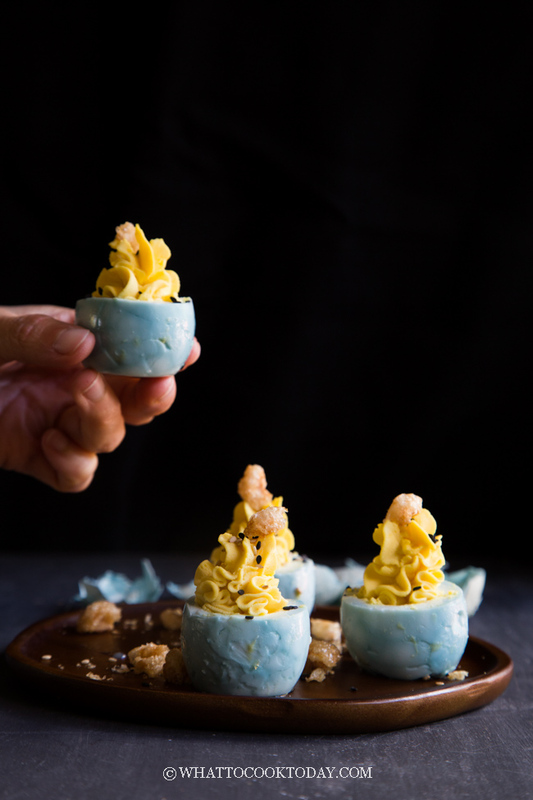 The filling is creamy and savory from the yolk, kewpie mayo and that contrast of texture from the chicharoones(fried pork rinds). 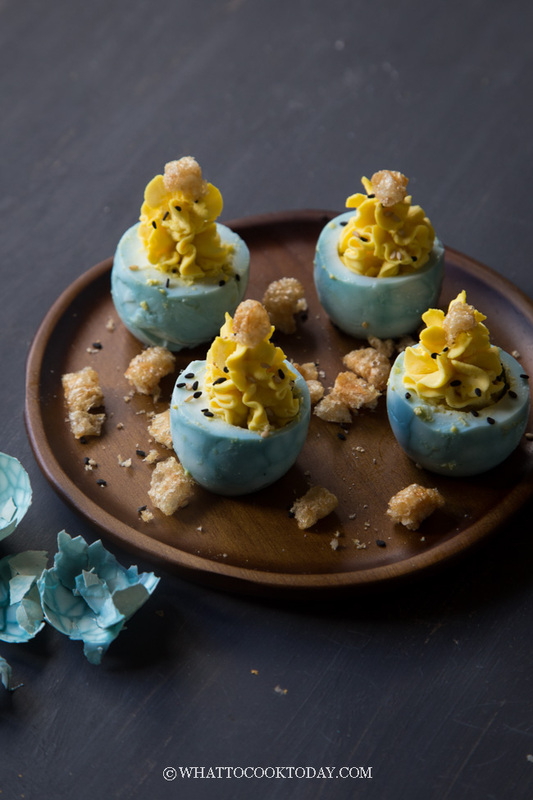 The kids definitely approve of these marbled deviled tea eggs. 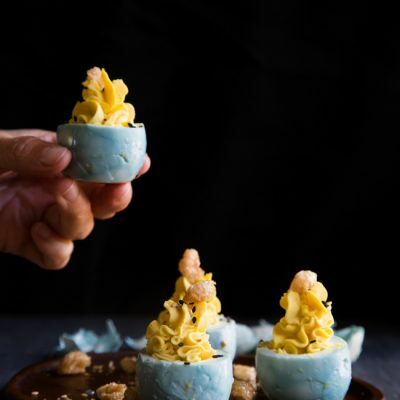 Cracked hard-boiled eggs are submerged in blue pea flower extract for that natural blue color and aromatic five-spice powder and topped with delicious creamy Asian-inspired yolk toppings and crunchy chicaroons. Perfect for Halloween or any occasion. Just before serving, top with a piece of chicarrones on top for that amazing contrast of texture and taste!